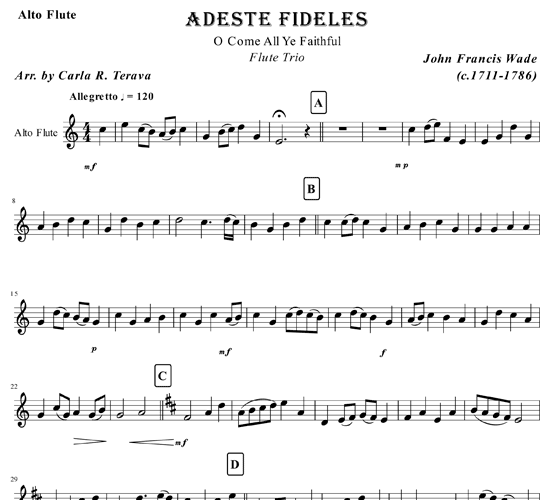 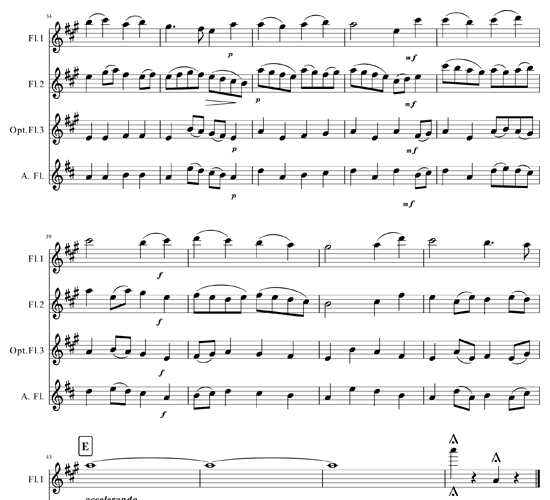 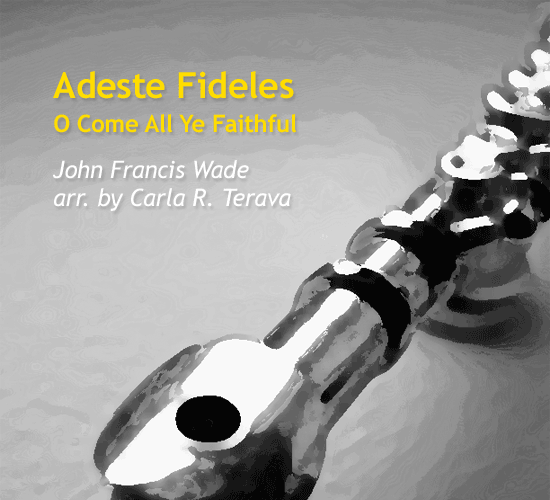 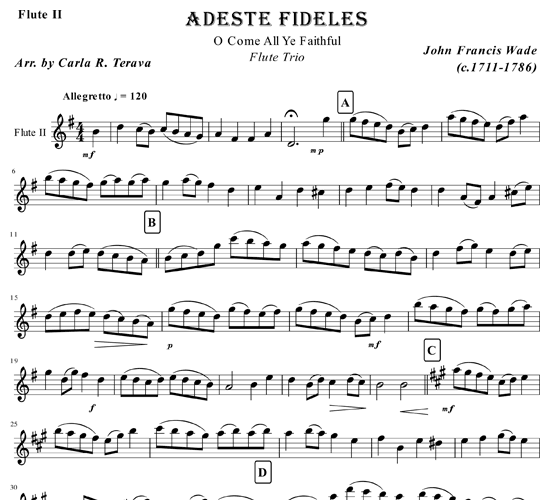 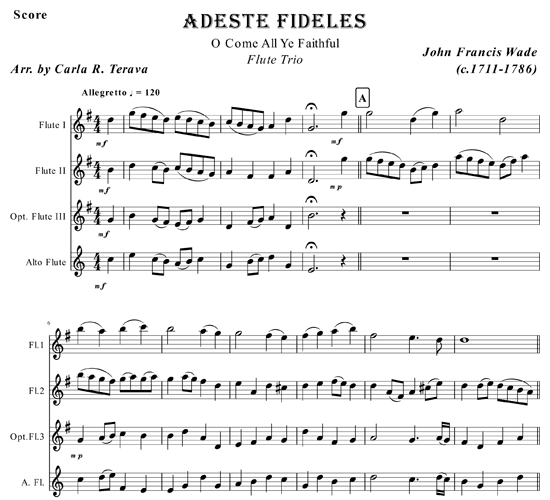 “Adeste Fideles” (O Come All Ye Faithful) is a traditional Christmas hymn arranged for 3 flutes (2 C Flutes and Alto Flute/optional 3rd C Flute). 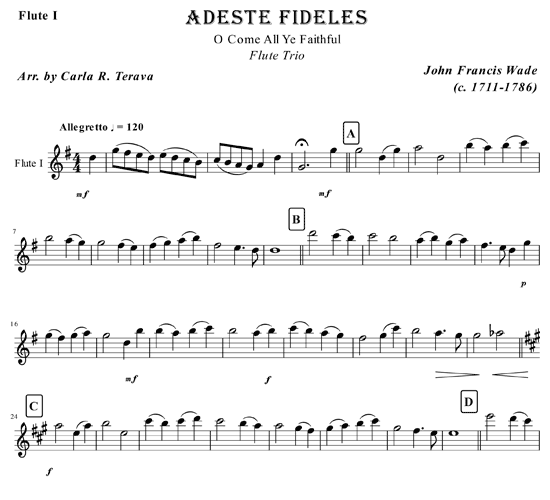 It is written to follow the traditional sound of the original hymn but with a fun, moving 2nd part to challenge an intermediate player. 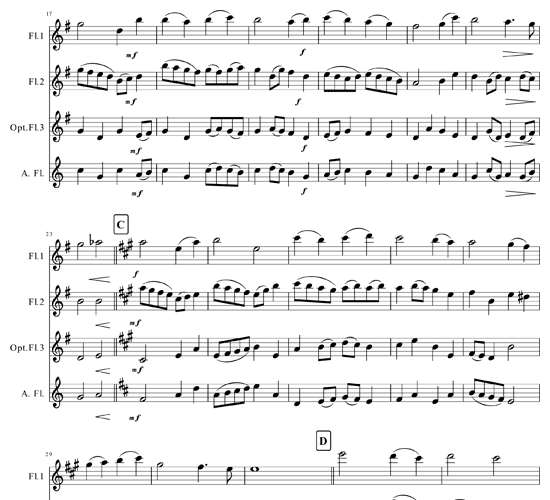 It begins in the key of G and modulates into the key of A culminating with an accelerando to the end. 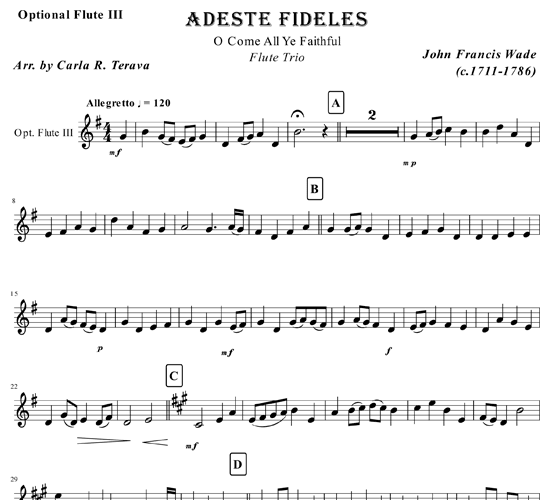 It can be played as a concert piece or as accompaniment for a congregational hymn.